Lexus has a reputation for quality, style and luxury, and it consistently meets or exceeds the expectations of its customers with each model that it releases. The 2014 Lexus IS is no exception. The IS is estimated to get 21 mpg in the city and 30 mpg on the highway, or an average of 24 mpg. Though the gas mileage isn't as great as some fuel-efficiency models like the Prius, the Lexus IS does get better gas mileage than many other standard models. The suspension has been fine-tuned in the 2014 IS and the chassis strengthened so that it handles like a dream. You'll be able to take corners with ease. The steering response is also improved, meaning that you'll be able to react to unexpected obstacles quickly and accurately. The IS has several safety features, including multiple air bags, a blind spot monitor, lane change monitor, four-wheel brakes and safety locks. The IS has performed exceptionally well in crash testing. It is a stronger car and has more safety features overall, so you can trust your family to its protection. The new Lexus IS 250 has a six-speed automatic transmission and a 2.5-liter V6 engine with 204 horsepower. If you move up to the IS 350, you'll get a 3.5 liter engine with 306 horsepower. The Lexus IS 350 F, the spots model, can get to 60 mph in just under 5 seconds. Top speeds max out around 170 mph. The IS interior has wide, leather seats and a tiered dashboard. The design not only looks nice, but it makes it easier to find all the things you need quickly, without having to take your eyes off the road for a long time or to get distracted by fumbling with buttons. The 2014 Lexus IS features many advanced features inside. These include a 15-speaker sound system, windshield wipers that are activated by rain, and dashboard controls that are activated by touch. The advanced technology will make it easy to manage the car's features. With the Lexus brand, you know that comfort is guaranteed. The wide, cushy seats are also heated and ventilated so that you are warm in the winter and cool in the summer. No matter what time of year it is, you'll be sure to have a comfortable ride. Included on the console are controls that allow the driver to take greater control of the car's handling. You can sharpen or soften the car's response and handling depending on what features you turn on or off. One of the biggest complaints about previous IS models was the cramped back seat. The new model features a roomier back seat with improved comfort features, such as wider seats, more leg room and plush upholstery. In addition to the smooth, sloping lines of the sleek exterior, one of the most notable features of the new IS is the front grille. The grille has a spindle shape, which contributes to a sportier look. The sculpted headlights and tail lights complete the look, creating a sleek finish from front to back. The new Lexus IS features a bigger wheel well, which not only improves the look of the car but also improves the way it handles. You'll feel firmly gripped to the road as you make tight turns, and long drive stretches will feel even and smooth. Though the reviews for the 2014 Lexus IS have been overwhelmingly positive, there are a few cons for some buyers. Most buyers understand that they will pay a premium price for a Lexus, which is a luxury vehicle. However, some may still experience sticker shock with the IS. The manufacturer's suggested retail price ranges from $36,000 to $63,600, depending on the model you choose. While the advanced technology gives drivers greater control over the car, some may experience a learning curve while getting used to the dashboard. You'll have to spend time getting to know the features before getting on the road. 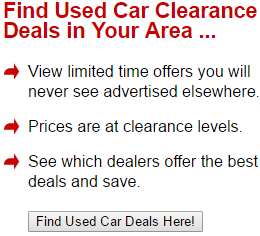 Otherwise, you could own the car for years and never know about some of the things it can do. Some reviews have reported that some of the performance and handling of the IS is lost at higher speeds. However, unless you're a race-car driver or you're spending a lot of time off-roading, you aren't likely to experience any of these issues. Most drivers will only experience highway conditions, and the IS performs and handles exceptionally well at those speeds. Lexus has a long tradition of luxury and excellence, and it has delivered once again in the 2014 IS. The 2014 model has made a number of improvements over previous models, both in its design and under the hood. The car looks better, it feels better, and it drives better. You'll feel more comfortable while you're driving, and you'll feel like you're in greater control with its superior performance and handling. The touchscreen controls will give you a greater sense of power and are easy to use. You'll also feel safe and secure as you drive. 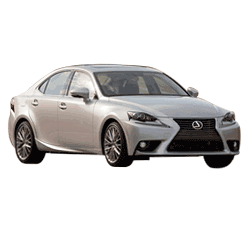 The 2014 Lexus IS is an excellent choice whether you are looking for a family car or a sporty sedan.